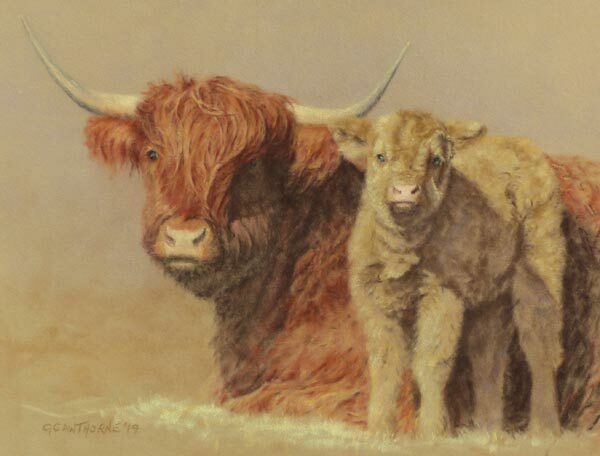 A young Highland Cow with her first calf, painted in pastel on Canson Mi-Teintes paper. This work was commissioned. Not for sale.